Thirtysomething years ago, Beshid Bahrami was a successful geologist, working on some of the biggest construction projects in the St. Louis area when the recession hit. "I had been working nonstop for the last few years. Business was booming. I had more work than I could handle," he says. Then, on the day he and his pregnant wife, Hamishe, were to sign the loan on their first house, he found out he had been laid off from his job. "I tried to find work in my field -- any work, and no one would hire me. You have to remember," he notes, "this was around the time of the Iran hostage crisis. No one would hire an Iranian." Although he had no professional culinary training or experience, Bahrami was prompted by his friends to open a restaurant. 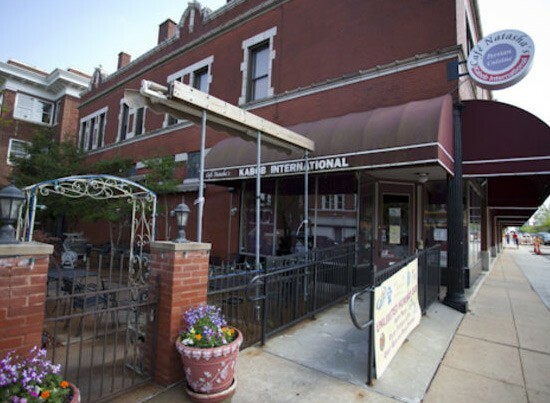 Seeing no other option, and needing to feed his family, Bahrami opened the seed that would become Café Natasha (3200 South Grand Boulevard; 314-771-3411) --the Little Kitchen, a 400-square-foot lunch counter in the windowless part of a downtown office building. "We had a convection oven and a hot plate. I knew nothing about the restaurant business or cooking professionally, but I think that was my strength. I had nothing but taste as my guide." Fast forward a few decades, and Bahrami, Hamishe and their daughter Natasha will celebrate the restaurant's 30th anniversary tonight with a Persian feast for long-time friends and soon-to-be new ones. For a $30 ticket, guests can expect to be treated to a smorgasbord of homemade goodies such as lamb prepared any way you can imagine ("Dad's cooking at least two whole lambs," Natasha laughs), smoked fish, beef tongue and a kaleidoscope of vegetarian, vegan and gluten-free dishes. Bahrami is even bringing back some favorites from the Little Kitchen that made the place such a success, such as the baked fish and quiche. The occasion not only marks where they have come from, however; it also celebrates the restaurant's future, as Bahrami and Hamishe pass the torch to their daughter. "Café Natasha is a part of me. It's who I am," says the restaurant's namesake. "Before we made the decision to renovate the space, we had to have a serious talk as to whether or not we would remain open." While Bahrami and Hamishe gave their daughter the freedom and opportunity to pursue her dreams -- graduate school, studies in Lebanon, a career in Washington, D.C. -- they made it clear that the restaurant's future was intimately tied to her desire to keep it going. "Mom's no longer willing to do it without me. It's time," Natasha says. You can buy tickets for tonight's dinner celebration, which starts at 6 p.m., by calling 314-771-3411 or emailing cafenatasha30@gmail.com.